When a wall stretches for over 93 miles (150 km), and yet its purpose is not known – things certainly make for a pretty perplexing historical scope. The wall in question had been identified in Jordan way back in 1948, by one Sir Alec Kirkbride, a British diplomat who served in the Middle Eastern country. While traveling by plane, he prophetically uttered how he saw a “stone wall running, for no obvious purpose, across country.” And now after 67 years, historians and archaeologists are still baffled by the extensive scope of the ‘Khatt Shebib’, the wall that runs roughly from the direction of north-northeast to south-southwest, over a distance of 66 miles (or 106 km). This substantial structure is complemented by expansions of a parallel wall, and adding these two arrays of stretches, brings the total length of the wall ‘system‘ to 93 miles (or 150 km). Interestingly enough, while the Khatt Shebib boasts some impressive extensions in terms of length, its width and height are nothing to write home about. According to researchers (from both University of Western Australia and Oxford University), the wall system even its prime probably only reached a height of a meter (or around 3.3 ft), while having average widths of just half a meter (or around 1.6 ft). The mystery deepens with an accompanying arrangement of circular ‘towers’ that range from 2 to 4 m in diameter, and these structures were possibly constructed after the wall was completed. This naturally brings us to the question – so when was the Khatt Shebib originally constructed? In line with the baffling nature of this odd infrastructure, archaeologists are not sure of the answer. 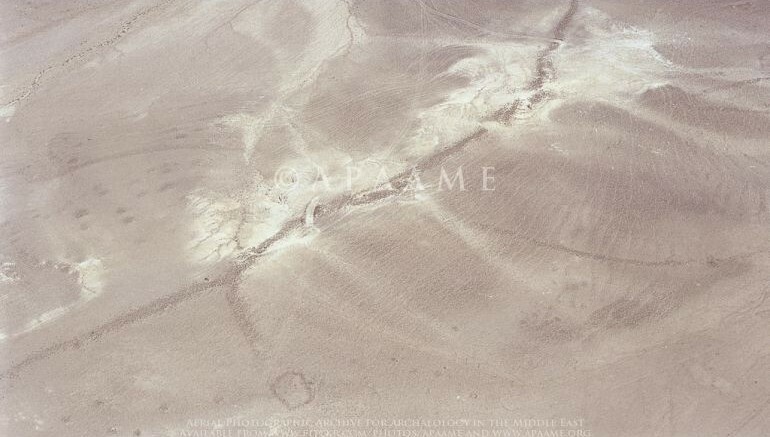 Based on analysis of extant pieces of pottery from the proximate site, the date could originate anytime between the Nabataean period (312 BC– 106 AD) and the Umayyad Caliphate period (AD 661–750). Now historically it should be noted that the Nabataeans (who designed Petra) and the Umayyad Caliphate (responsible for initiating projects like the Great Mosque of Aleppo and the Dome of the Rock) were both known for their architectural and engineering aptitude. So in other words, the relatively rudimentary nature of the Khatt Shebib contrasts with these ruling factions’ (of contemporary Jordan) achievements in constructional fields. The reason behind this apparent difference in craft and technique could be due to the fact that the Khatt Shebib was a localized endeavor built by the provincial inhabitants of the area. They might have even gone through with the project to imitate grander structural works achieved elsewhere in the region. So this brings us to another crucial question – what was the purpose of the extensive wall system? Unfortunately, archaeologists also don’t have the definite answer to this query. But of course there are several hypotheses, with the most likely one being that the wall was used as a secure ‘safe house’ where hunters and travelers could spend their nights. The hunters might have even used it to hide themselves from the local fauna, until opportunities presented themselves to strike down the game. 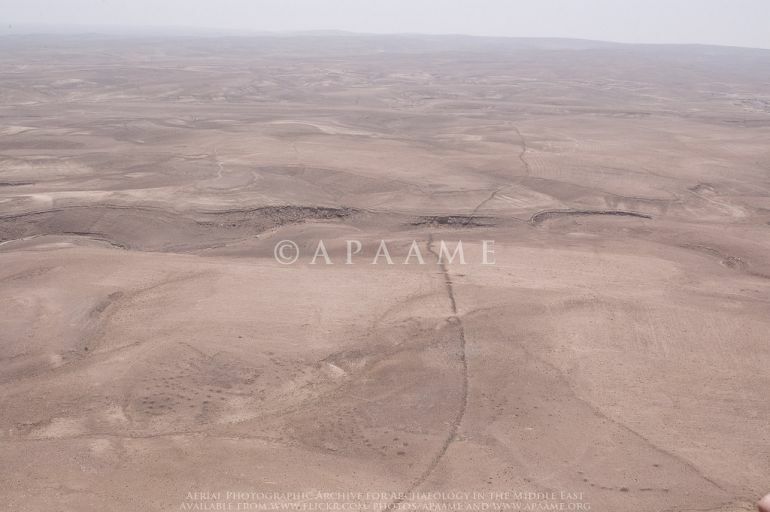 In any case, given the narrow width and small height of the wall system, it can be pretty much assumed that Khatt Shebib was not a defensive structure – though it could have been used for a series of watch posts. Quite intriguingly, researchers have been able to identify traces of ancient agricultural practices to the west of the wall system, especially when compared to the eastern part. 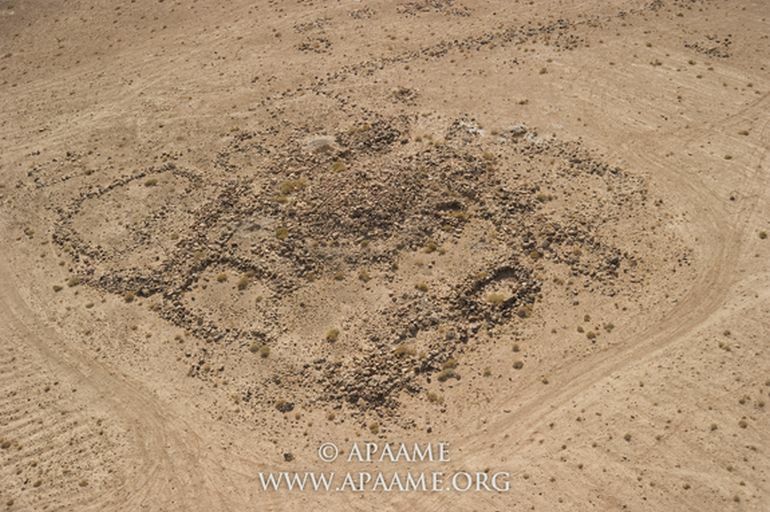 This could also suggest that the Khatt Shebib was built as a artificial barrier that segregated the sedentary farmers and the nomadic hunters. But at the end of the day, the archaeologists have admitted that aerial surveillance could only determine the physical extent of this ancient structure. So in a bid to gather more historical clues they are looking forth to ‘old fashioned’ field work in the extensive site. Source: Academia.edu / Via: LiveScience / Images Courtesy of APAAME.